•Pick the beans to remove every unwanted material from the beans. Parboil the picked beans, cook for about 10 minutes then wash and set aside in a bowl. •Slice the fresh red tomatoes/pepper and onions and put in bowl. 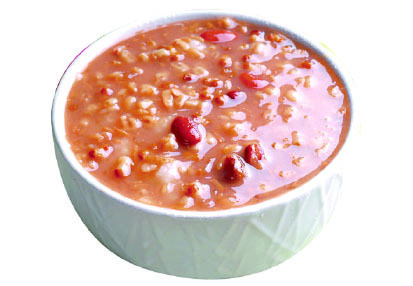 •Cook the beans again until it is very soft for consumption. •Add the ground crayfish, cube, sliced tomatoes/peppers, palm oil, salt and pepper to taste. •Cook for another three minutes and it is ready.